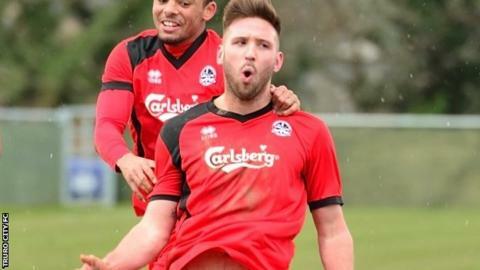 Truro City defender Aaron Pugh says his Southern Premier League side's belief mirrors that of when they won the league in 2011. City beat Burnham 2-1 thanks to two goals from Matt Wright and are now just two points off leaders Poole Town. "We went out looking like we were going to win games and that was the year we got promoted," Pugh told BBC Cornwall. "We had that belief that we had goals and we were solid, and I think we've started to get that back this season." City have now won their last five league games and face Poole in a Southern League Cup tie on Tuesday night, with the Dorset side having five games in hand over the White Tigers in the league. "There's a lot of confidence at the minute that we're going to win games," added Pugh. "Even when we're not playing fantastically well we're still getting the results, which is important, and we're doing enough to win."